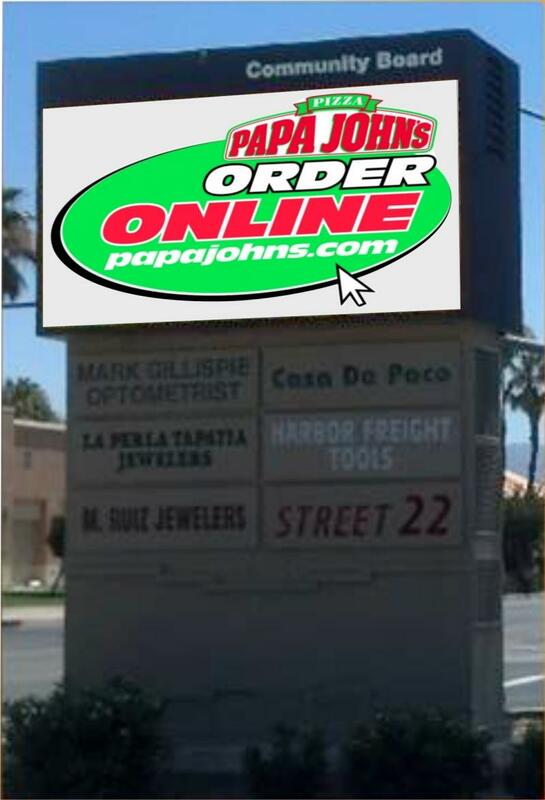 Advertise your business to 30,000 cars daily on Hwy 111 just east of Monroe. 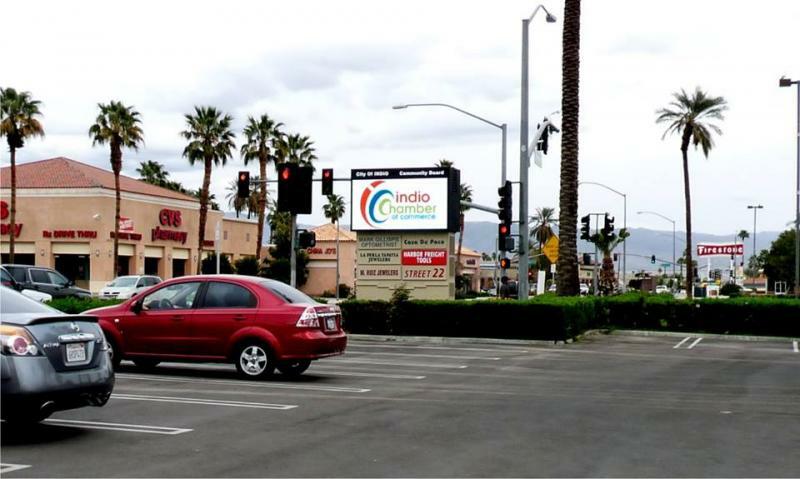 Court House, legal offices, Cardenas and CVS are a few of the anchors in the busy Indio area that attract drive by viewers every day. 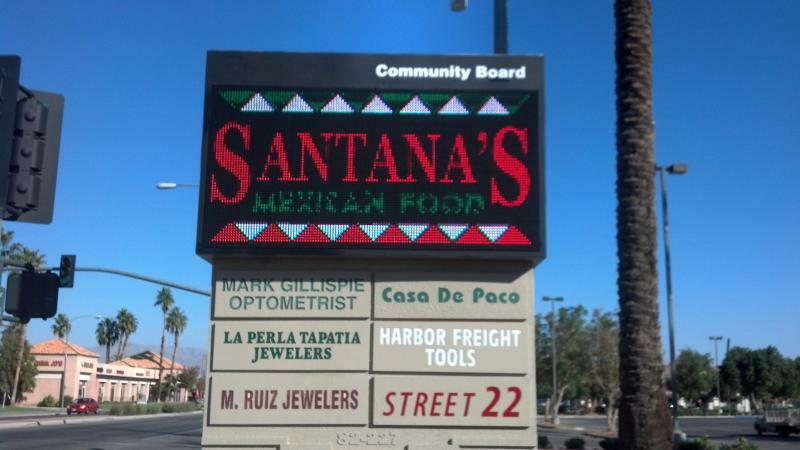 The Digital board runs 24/7 and will reach local traffic going through Indio each day. 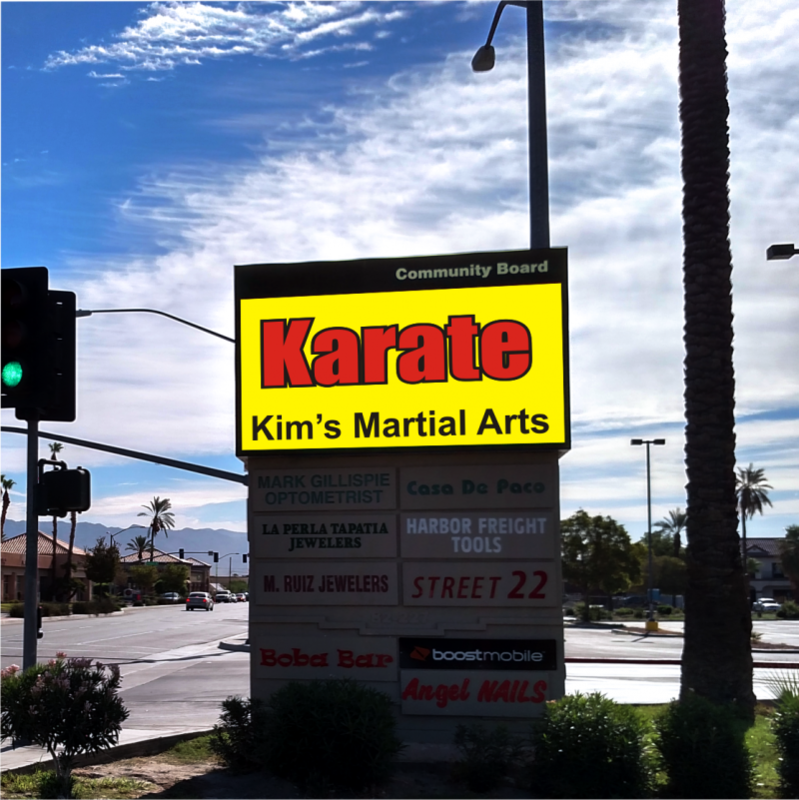 Call us to discuss 3 month and 6 month discounts. 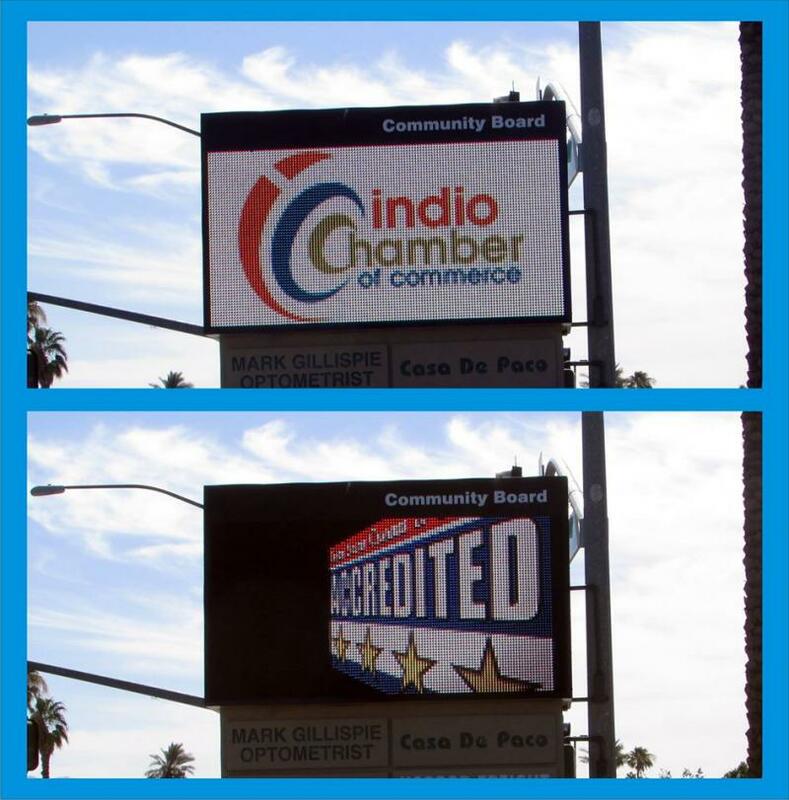 ﻿We are a proud member of The Indio Chamber of Commerce and a local Indio business.